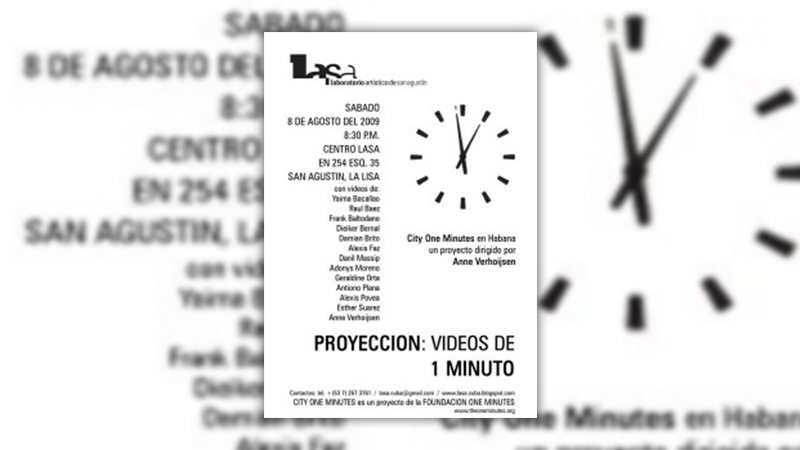 Almost two weeks there was the presentation of the one minutes movies in Lasa. (laboratorio artistico de sanaugustin). All the movie makers and their friends were present and even a lot of inhabitants from san Augustin. I was very surprised by the reactions. Of course I had my fixed moments were I had to laugh or smile . But this did not happen during the viewing almost every body was looking silently. There were almost no reactions. After the last video…loud applause. The movie had a lot of very intimated moments. They were touched by their own lives and also from their neighbour. It was by moments a look in their own kitchen as we say in Dutch. 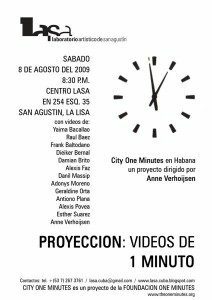 The première of the movie will take place during the Dutch Cultural week in Havana from 13 till 18 October.